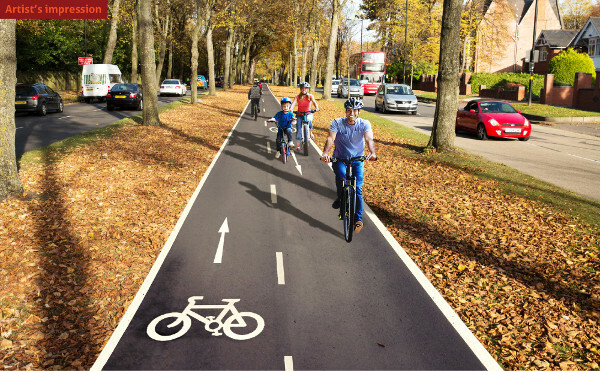 Amey has begun work on a £5.4m project in Birmingham to deliver a 4km two-way, fully segregated cycle route linking Selly Oak and the University of Birmingham with the city centre. The A38 corridor scheme is part of Birmingham Cycle Revolution (BCR) - a city-wide project funded by Birmingham City Council ‘focused on making cycling an everyday way to travel’. Amey said work on the project comes on the back of a hugely successful period for its New Business team in the city, which has already delivered phase one of the BCR programme and is currently working on a similar 4km cycle route in the north of the city. This is in addition to phase two of the roll-out of 20mph speed limits, bringing the total value of BCR works delivered by Amey to nearly £15m. Jenny Moten, business director for Amey in Birmingham, said she attributes this success to the dedication of the team and collaboration with Amey’s other services in the city, including the 25-year Birmingham Highways Maintenance and Management Service, which has been the subject of a long-running legal dispute between the firm and the council. Kieran Boyle, the council's lead project manager on the BCR project, said: ‘Since 2015, we have developed a close working relationship with Amey on the Birmingham Cycle Revolution Project to deliver a challenging programme.